Legitimate attack or a bot? what is this? 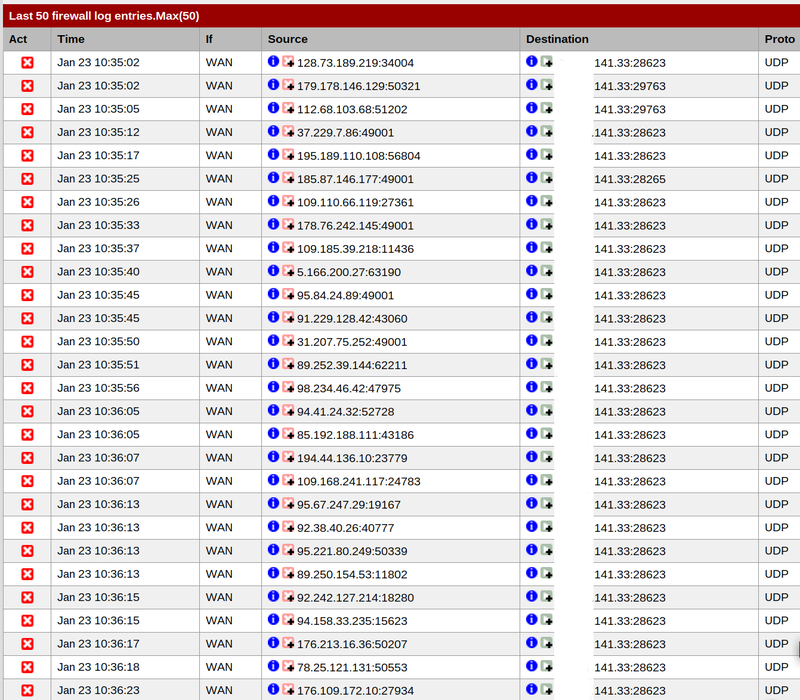 **I've seen a few blocks here and there but never this many for this long on the same ports from different addresses. The way i see it, unless there is infiltration, or flooding, one can drive themselves to banging the head trying to find out they why and who. Are you running a torrent client, or were you? I thought it looked like a swarm. 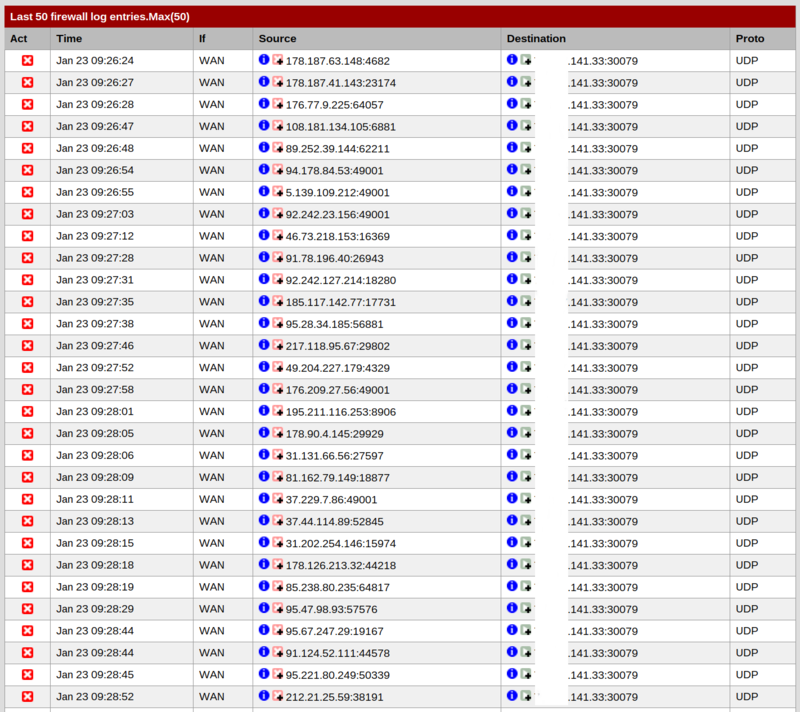 I believe that this is normal if you disconnect but you still have a ton of external clients trying to contact you. Perhaps your torrent client is using random ports instead of the one you defined? ^ agreed… this looks like p2p traffic.. Random ports to your same odd ball "random" high udp port. Might not even have been you, if your IP changed and now your seeing traffic to someone else port that was member of swarm. This sort of traffic can go on for days if not weeks.. I've seen some clients that allow you to set the data ports, but the control ports are always random and no way to control that. Torrent has a lot of different ports.